Today our group went to the airport very early in the morning leaving six of us behind. 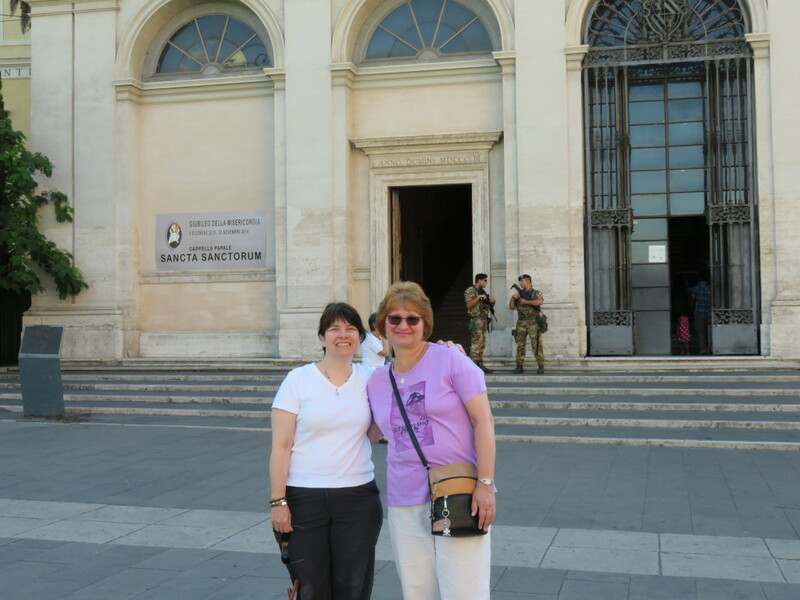 It is one of the most important and renowned sanctuaries in the Roman Catholic Church. 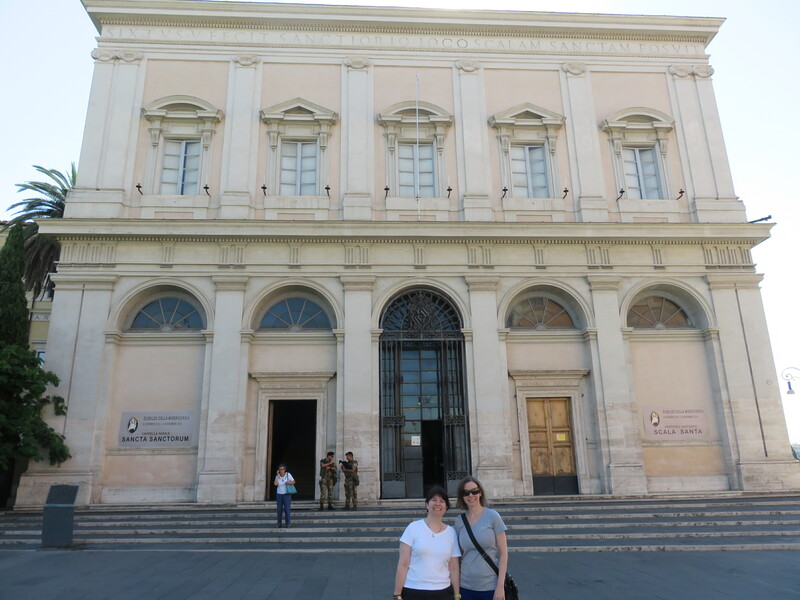 Situated near the Basilica of Saint John Lateran, the Sanctuary houses the Sancta Sanctorum, recognized as the first private Papal chapel. 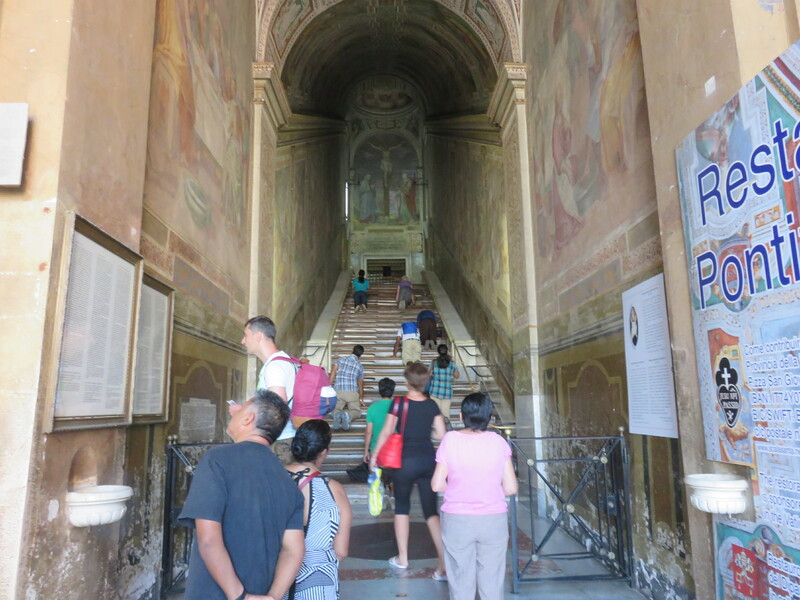 The Sanctuary gets its name from the 28 marble steps of the Holy Stairs – the Scala Santa. 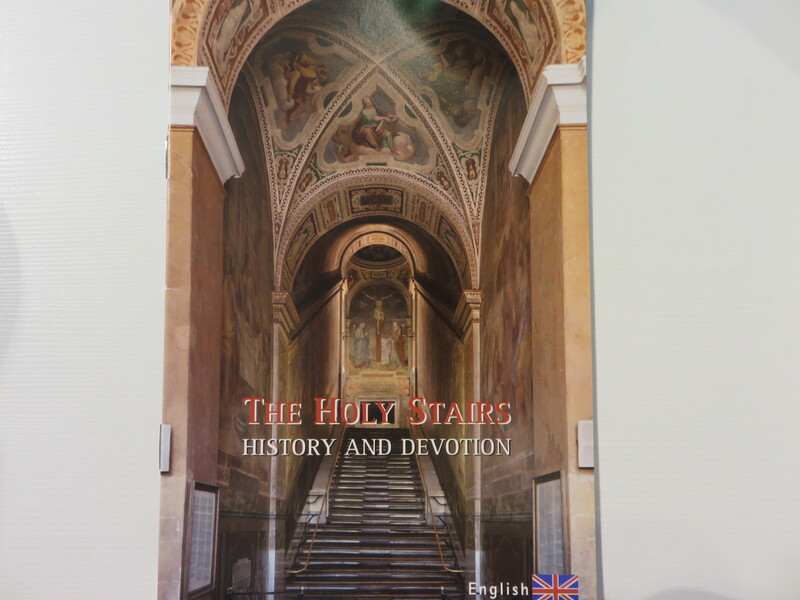 According to an ancient Christian tradition, Saint Helena, the mother of Constantine, had the stairs transported from Pontius Pilate’s palace in Jerusalem to Rome. 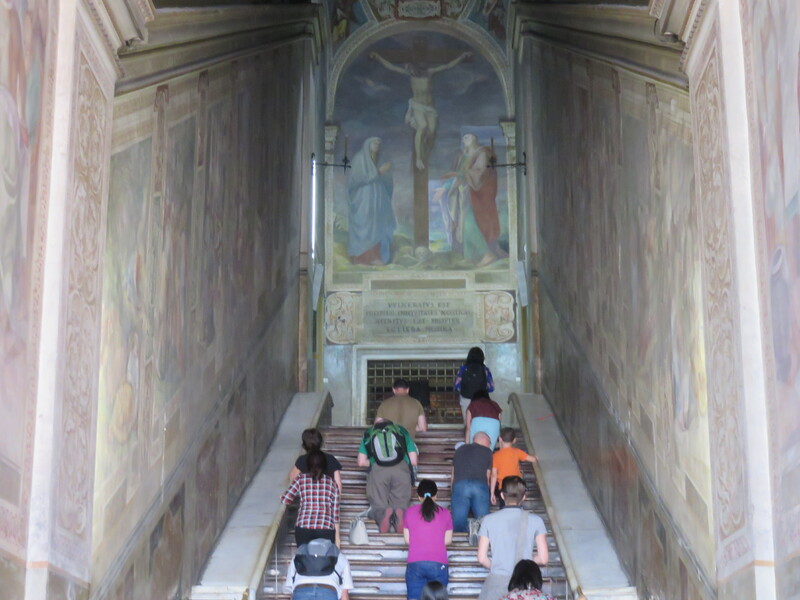 It is believed that Jesus climbed these stairs several times the day he was sentenced to death, so they are known as the Scala Pilati or Scala Santa. Today the place is visited by many pilgrims who climb the stairs on their knees. The booklet provides them with special readings for each step. 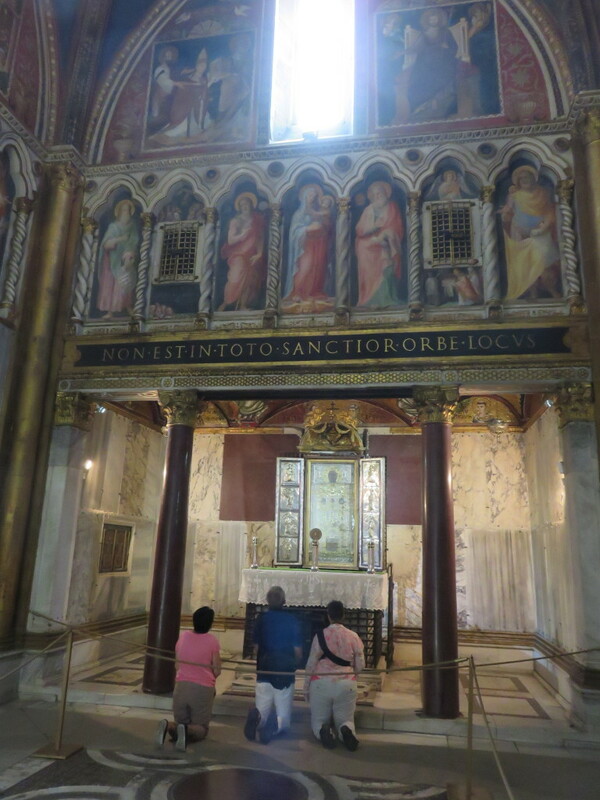 After climbing the last step, the pilgrim finds himself in front of the chapel of the Sancta Sanctorum. 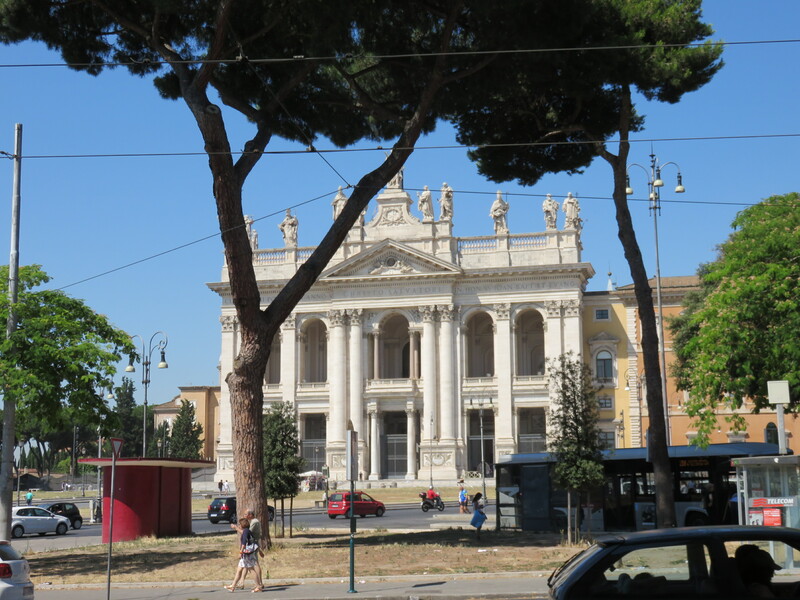 According to medieval historians, this was the most venerated sanctuary in Rome and was, until the Renaissance, the private oratory of the Popes. 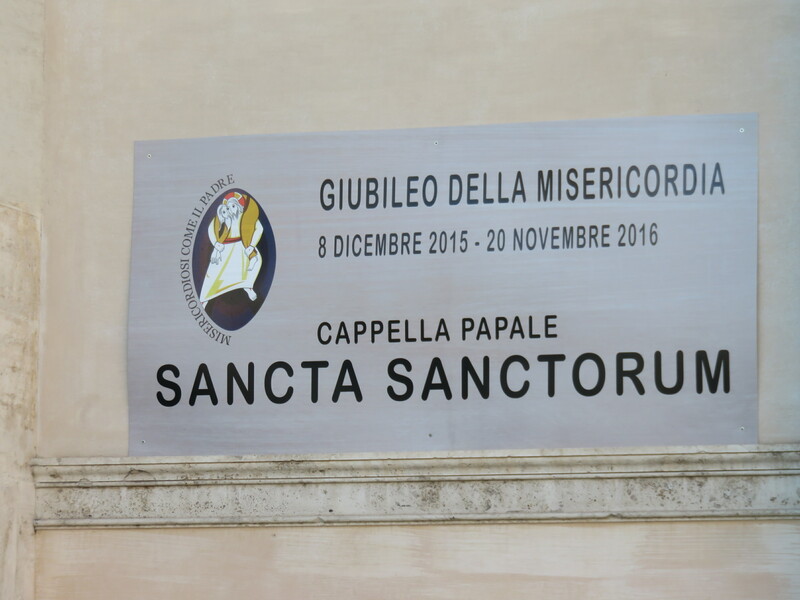 The chapel was called Sancta Sanctorum due to the numerous important relics housed within. The first mention of the chapel is found in the Liber Pontificalis from the 8th century. 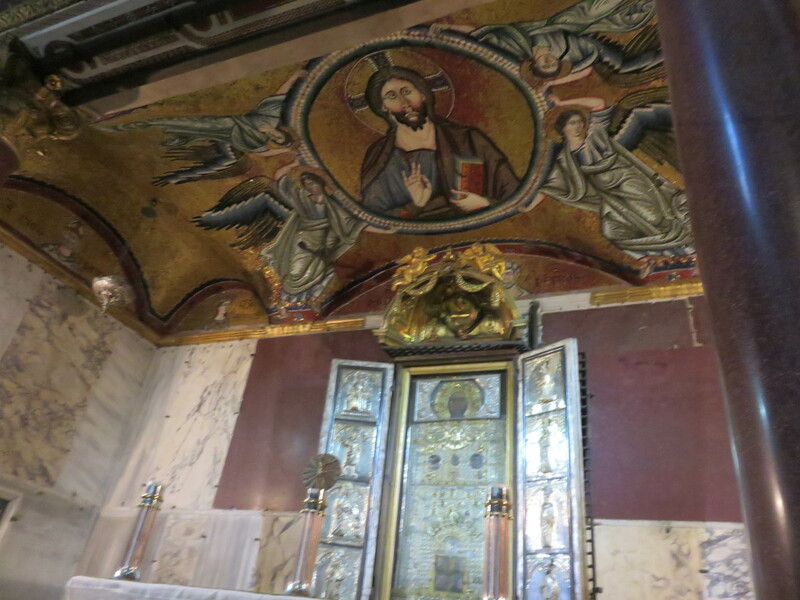 The most ancient and venerated object in the Sancta Sanctorum is the image of the Holy Saviour. 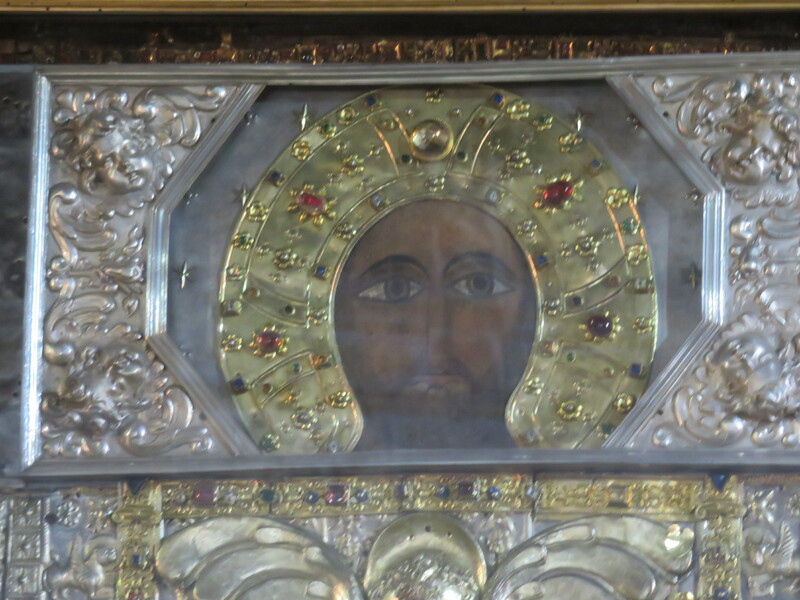 Kept above the altar, it is referred to as the Acheropita (“not made by human hands”). Painted on a wooden panel , the depiction of the Saviour is represented sitting on a throne, giving a blessing with his right hand, and holding the scroll in his left hand. The origins of the image remain unknown. By the 8th century it was the subject of such veneration that, according to the Liber Pontificalis, Stephen II carried it on his shoulders during a procession to ward off the danger posed by the invasion of the Longobards in 735. Whatever its origin may be, the history of the icon is tied to over 1000 years of devotion. 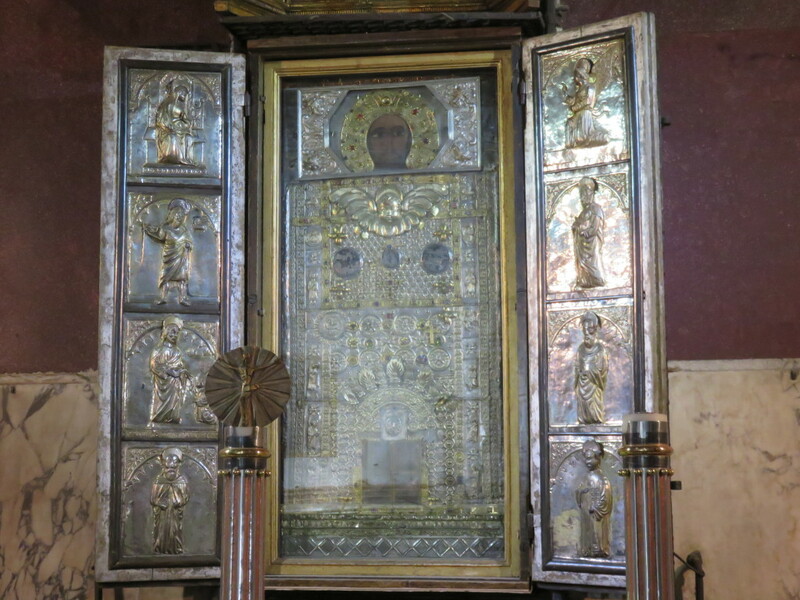 It is one to the most important relics of the faith which has remained until today. Assisi: Casa di Ospitalita "Maria Immacolata"
Wow very interesting! I did not know about these stairs, thanks for sharing! Thank you Chandra for your comment. I hope you are enjoying your trip. Be careful with the bears! Thank you for the message. I am glad you are alive. Keep exploring Montana. Looking forward to hearing about your bear adventures.